In this year of 2017, the Church commemorates the 100th anni­versary of the apparitions of Our Lady in Fatima where the Mother of God exhibited the love of her Immaculate Heart and invited the faithful to pray for peace and for the eternal salvation of souls. During his life as a Catholic, John Henry Newman’s great love for Christ found expression in his devotion to the Sacred Heart of Jesus. 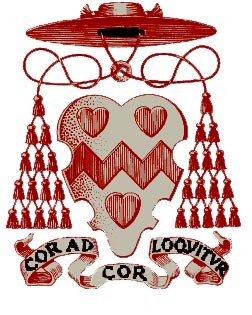 He wrote to a friend: “Ever since I have been a Catholic, I have had a great devotion to the Sacred Heart” (LD XXVI, 3). Being also a great admirer of the Blessed Virgin, he had a devotion to her Immaculate Heart long before Our Lady of Fatima spoke to the three shepherd children Lucia, Francisco and Jacinta. He venerated Mary’s Immaculate Heart in union with the Heart of Jesus and composed a Litany of the Immaculate Heart of Mary which was placed by Fr. William P. Neville of the Birmingham Oratory into the collection of the “Meditations and Devotions”. Fr. Neville writes in his Prefatory Notice to this posthumously edited volume, that this litany formed part of a “scheme, drawn out by him, of Litanies to run through the whole year” (MD, vii). Newman had suggested to pray this litany daily between the 1st and 15th August. The Litany of the Holy Name of Mary, also composed by him, was meant to be prayed from the 15th to 31st August. These litanies are – as Fr. Neville dutifully adds – “are founded upon the Litanies to be met with in the ordinary Catholic Prayer books” (MD, 247). They intend to be a help to the Catholic faithful to live their devotional lives day by day and through the whole of the liturgical year. For your information and possible use you can find them in the attachment. The International Congress at Venice-Mestre, organized by the Istituto Universitario Salesiano Venezia and the Pontifical Lateran University in Rome in collaboration with our Newman Centre from the 19th – 20th January 2017, with the topic “Teachers because Witnesses: Contemplating the Future with John Henry Newman and Edith Stein” was attended by numerous scholars, Newman friends and students from the Istituto Universitario Salesiano Venezia. The proceedings will be published soon. On 2nd April 2017 the International Centre of Newman Friends in Rome organised A day of recollection with John Henry Newman. We gladly add in this circular the two talks given by Fr. Hermann Geissler FSO on “John Henry Newman and the Parable of the two Brothers and the Merciful Father” and by Sr. Mary-Birgit Dechant FSO on “Mother Julia Verhaeghe and Blessed John Henry Newman”. We hope that you will draw inspiration from these thoughts. The Garden Party at our Newman Centre in Littlemore, an annual fundraising event, brought together friends and supporters of Newman’s Cause and of our Spiritual Family The Work on 3rd June 2017. We are grateful to all who give of their time or their financial means in order to help us in our mission at The College where Newman was received into the Catholic Church. In the College are a few guest rooms with self-catering facilities available for those who wish to pray and/or study at this place as Newman did. The guests may participate in the daily prayer life of the community (Divine Office, adoration of the Blessed Sacrament, Mass in the chapel or parish Church) and use the specialized Newman library. For further details and other arrangements, e.g. celebration of Mass, guided tours and/or talks for groups, use of the library for academic purposes, information about visiting places connected with Newman in Littlemore and Oxford etc. please contact us. Sr. Irene Felder FSO, who had worked in our Newman Centre in Rome for almost 20 years, has received a new assignment and is now based in the Motherhouse of our Spiritual Family The Work in Bregenz (Austria). We are sincerely grateful for all she has done for the further development of our Newman work and for many Newman friends. Please note that, due to renovations of the “Piccola Casa”, the Newman library of the Inter­national Centre of Newman-Friends in Rome (Via Aurelia 257) is closed for about a year. Feel free to send enquiries to our email-address: newman.roma@newman-friends.org. We thank you for your understanding. 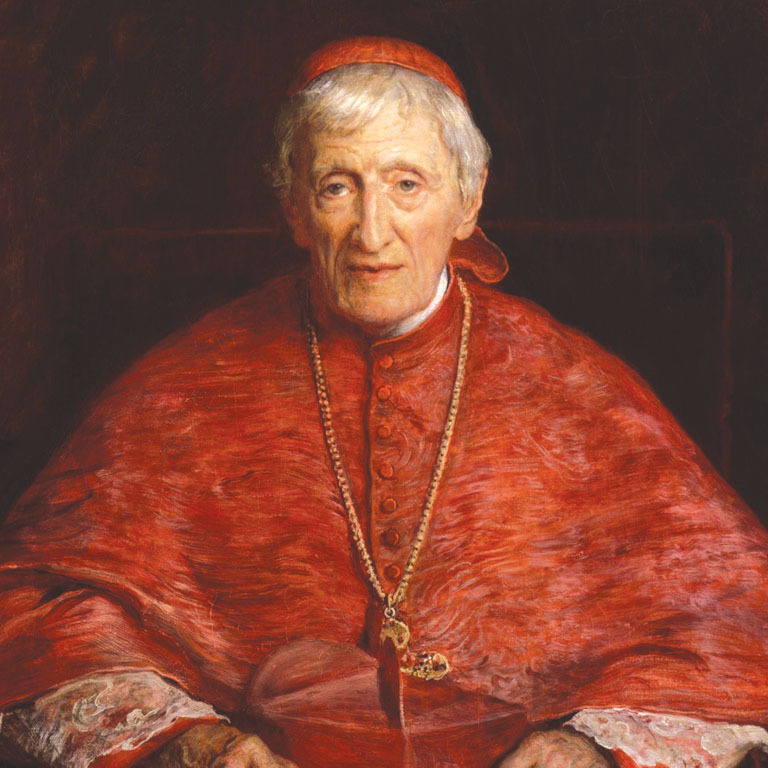 In the course of the year, we were informed about new publications on Newman as well as conferences and talks organised in many places to promote his person, his prayers, sermons and scholarly work. We invite you to continue to pray for the success of his Cause of Canonization so that soon we may entrust ourselves to the prayers of “Saint John Henry Newman”. May we also ask you to remember in your prayers the Newman scholar and former Anglican Bishop of Gibraltar, Geoffrey Rowell, who had already participated in the Newman Symposium organised by us in Rome in 1975, as well as Msgr. Olivier de Berranger, former Bishop of Saint-Denis (France). Both passed away recently. May they and all deceased Newman friends rest in God’s peace. Last but not least, we would like to draw your kind attention to our website www.newmanfriendsinternational.org which has been restyled. Its bibliography is being con­tinually updated. If you know of a Newman publication which is not yet listed, please contact us so that we can add the respective article. Thank you.